Super cool figure, good luck Kinseth. @Kinseth , I like the design changes to Kalagrith, but I see a problem: miniature availability. 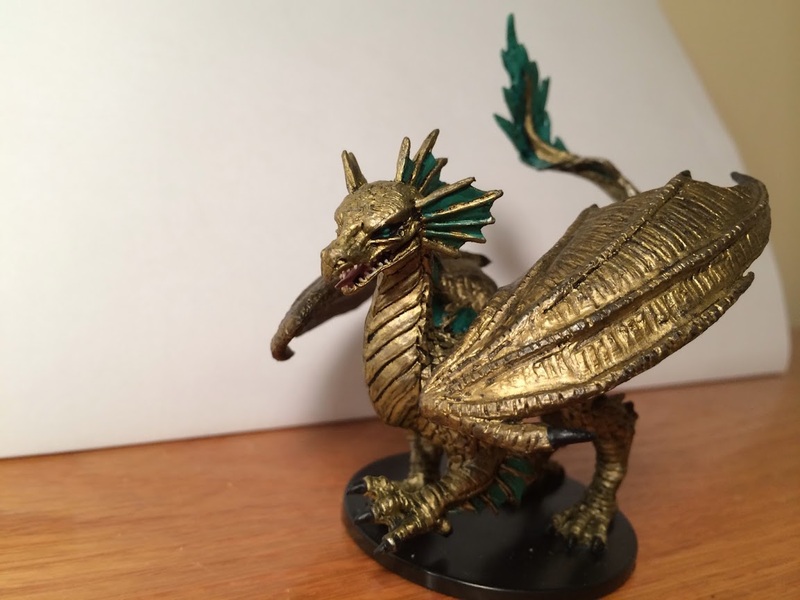 15 at Auggies is all well and good, but everywhere else I look (miniaturemarket, trollandtoad, coolstuffinc) the Pathfinder Large Bronze Dragon is either out of stock or much too expensive (CoolStuffInc. sells him for $15, & Paizo sells him for $16, too much for a Large 7 figure, IMO). If adequate stocks at a reasonable price can't be found, I can't vote vote for Kalagrith. The Miniature was just released by Pathfinders in the middle of November. That means that Local Shops are likely to have them also. Consider Pathfinder will produce this for months and months, availability shouldn't be an issue. The initial surge for sites like Troll&Toad and MM(I purchased mine from there on a Pre-Order) is likely the cause for it being out of stock. I also see several ebay auctions for ~10 dollars. Much more in line with the price that Auggies has. Lastly, this is a FANTASTIC mini, Super High quality. Exquisite! 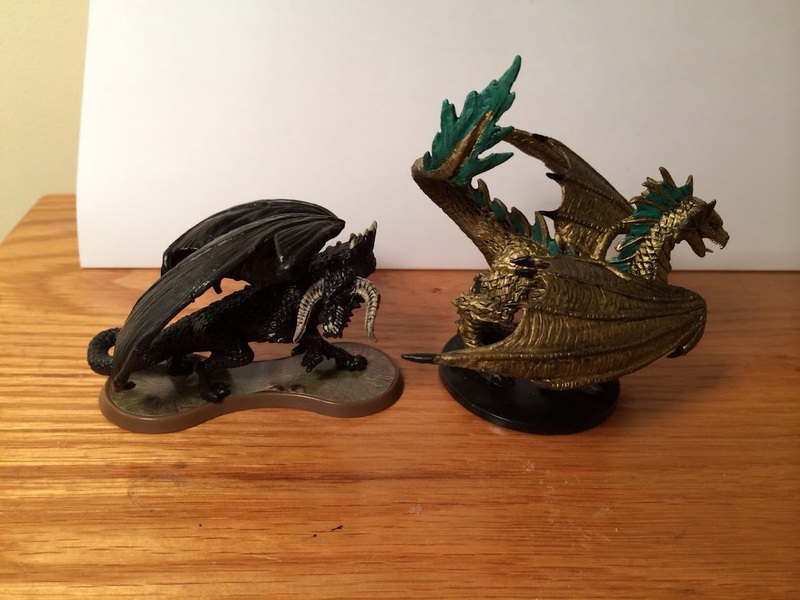 10 Dollars is more than fair for a miniature of this quality and size. eBay auctions mean nothing as far as price is concerned. Kinseth, can you provide a spreadsheet of store URLs, stocks, and prices? $15 is far far too much for a mini of this size. I too like the changes on Kalagrith, but I'm not going to pass a figure that costs $15 unless I can be convinced that there's a real hole (either in the metagame or just thematically, like Quahon) that the unit fills. If you can show better and cheaper availability, I'll be glad to give it a go. Balance- Nothing about the Thoresby Woodsmen break the game, although my games did not show whether they were correctly priced or not. They were very effective against melee when they could get a strong screen to block chokepoints, but that is nothing new. They could also perform well against range on maps with evergreen trees in good positions. Playability- The Thoresby Woodsmen were playable on all of the maps I tried. They were better on maps with trees, but not terrible on other maps. The strategies that work for other ranged common squads work for them also. In their case the ability to get an automatic skull in exchange for not moving often meant, particularly vs. melee armies, that they sometimes chose to camp in their starting zone rather than move out and sacrifice the extra attack against a target near the start zone. That's not a terrible thing, but it did detract from more interesting and dynamic gameplay. Powers: The Thoresby Woodsmen have a nice set of thematic powers with one unfortunate drawback: their Evergreen Camouflage power uniquely excludes jungle trees and bushes. Even the Quasatch Hunters' Jungle Tracking, which explicitly says "Jungle" in the title, works on Evergreen trees. The more I thought about them and played them on maps with jungle trees and bushes, the more this bothered me. Why should they suddenly forget how to hide and use their camouflage in a jungle? Appropriate Stats: Their stats are all nicely appropriate. Their low firepower is offset by the reliability of Precise Shot, and their low defense is offset by their ability to stay out of the reach of melee and use Evergreen Camouflage on many maps vs. range. Visual Distinctness: I did not get to buy these sculpts to see them in person, but in the pictures they look different enough from the game's existing archers. Creativity- I like the reuse of Tracking and the way the new powers are simple and thematic, riffing off old themes while doing something new. Theme- The theme on these guys was pretty good. Playing them often felt like laying an ambush and waiting for the enemy to come, then picking them off as they approached. They offered high mobility and a decent punch with their bows. Further testing could have shown that they were not priced correctly. However, the deciding factor for me was their inability to hide in Jungle. I vote Nay to induct the Thoresby Woodsmen into the Soldiers of Valhalla. The Thoresby Woodsmen have received two Nay votes (infectedsloth and capsocrates) to induct and have been removed from the process. Sorry guys I have been away on work this week for a project, and haven't had time to look further into your questions, I will answer them when I return on Sunday. Troll and Toad/MM are both out of stock. Paizo has some in stock. Remember that these are still in production and will be available for a while. This also means your local game stores might have some in stock also. The two stores near me usually have Pathfinders Singles available. As for the higher price, you really are getting a great miniature. The quality of this Dragon is excellent. While it is a steeper price than some other miniatures, the quality and size of the miniature should come into play. The duration that this will also be available needs to be taken into account. That's really all I have to say on the matter, if all you look at is potential dollar signs($9-14) for an excellent miniature(Would you pay the same for out of print miniatures now? Q9, Nilf, Fen Hydra etc...), then by all means vote nay. Have a look at the pictures and quality of the unit. The SoV does not consider eBay figure counts as useful since they are constantly changing. The fact that they are still in production counts for a lot, however. While the price is rather high, it's within the range I consider workable. Though I doubt everyone in the Inner Sanctum (incluing other Judges) will agree. Paizo has the standard 99+ so I don't think availability is an issue at all. They're all at $16, though, which is the likely sticking point.